News comes via the Microsoft Developer Blog that Blizzard has added support for DirectX 12 (DX12) to the version of World of Warcraft (WoW) available for Windows 7 users. Blizzard only just added support for Microsoft's latest DirectX API to WoW late last year. However, both developers and gamers have been very pleased with the "substantial framerate improvement," from use of DX12 with the game. DX12 is a Windows 10 exclusive but Blizzard asked Microsoft what it could do to improve the gaming experience for Windows 7 users. "At Microsoft, we make every effort to respond to customer feedback, so when we received this feedback from Blizzard and other developers, we decided to act on it," wrote the Windows developer on its blog. It went on to explain that "we have ported the user mode D3D12 runtime to Windows 7. This unblocks developers who want to take full advantage of the latest improvements in D3D12 while still supporting customers on older operating systems." 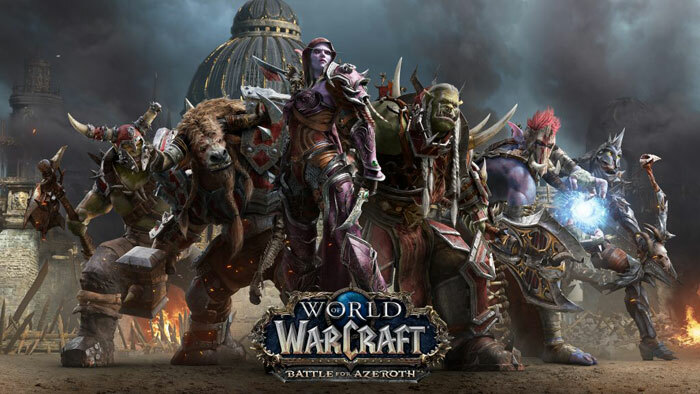 The updated WoW game is now available as game patch 8.1.5 for World of Warcraft: Battle for Azeroth. Microsoft went on to stress that Windows 7 WoW gamers can run the game using DirectX 12 and enjoy a framerate boost, "though the best DirectX 12 performance will always be on Windows 10, since Windows 10 contains a number of OS optimisations designed to make DirectX 12 run even faster." Going forward Windows 7 users won't be able to install a full DX12 runtime on their machines. Microsoft says it is currently working with a few other game developers to port their D3D12 games to Windows 7 and it will be part of these updates, not an API available to other games on your PC. The above is good news for Windows 7 stalwarts but there is some bad news on another recent Microsoft blog post for users of this aging OS. "Beginning next month, if you are a Windows 7 customer, you can expect to see a notification appear on your Windows 7 PC. This is a courtesy reminder that you can expect to see a handful of times in 2019," writes Microsoft in a blog post about encouraging transitions to Windows 10 and Office 365. In brief, you are going to get nagged to upgrade. But don't dismiss the notifications too quickly as if you would prefer not to receive them again, you'll be able to select an option for 'do not notify me again'. I have to wonder if using Vulkan from the start would have saved time and money for them in the long run. OC3D made a very interesting comment that was this actually a genius move to get more developers to support DX12. If it is available on both platforms that cover 80% of the market then its adoption is more rewarding. Now, this does show that MS could have done it all along and original was a USP to get people to move to Win10 but it's obvious in 4 years it hasn't moved as fast as they'd like. So they shifted their position to push for something bigger than just a migration to Win10.